MacDailyNews Take: Apple’s debut will push the number of scripted original TV series well over 500 in 2019. There’s getting to be too much choice. The amount of things in my Netflix list is mind boggling and I’ll just never get to them. There’s so much stuff I just don’t even bother starting because there’s not the time. What I want to know is how people are watching shows. 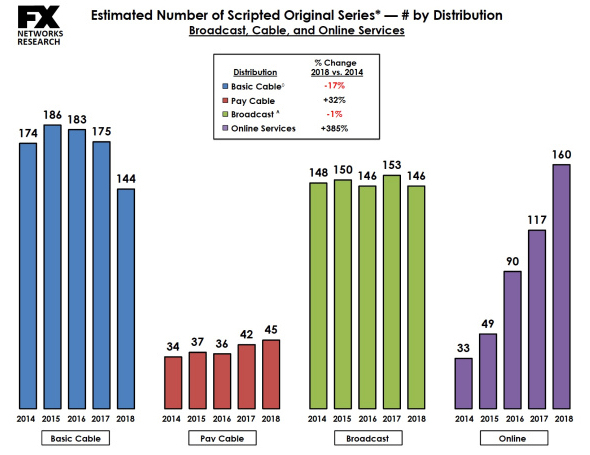 How many people watch same day over the air, same day cable, delayed DVR, and delayed streaming. That’s more relevant than the number of shows produced.